Well, it's been awhile since I've had the presence of mind to visit or do anything out of what has been absolutely necessary i.e. tend the farm, cook, work, sleep and try to heal. Do These Products and Advertisements Give Homeopathy A Bad Name and Cause Confusion? 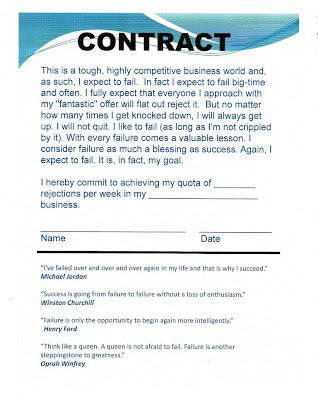 Today I came across this FAILURE CONTRACT on Roland C. Bonay's blog site. I thought it an interesting way to start out the day, to expect to fail, rather than to expect to succeed. Antibiotic Crisis- written by Prof. B. M. Hegde, MD, FRCP(Lond. ), FRCP(Edin. ), FRCP(Glas. ), FRCP(Dub. ), FACC(U.S.A.), FAMS. Arnica has saved life of four people who were lying unconscious in hospitals after head injury even after three days. They gained consciousness just after four hours of treatment. In order to understand disease, we must know what is health in its real sense. GLASS MEMORY: Myth or reality? What happens when we reuse a glass bottle which previously contained a homeopathic remedy? Is washing it with detergent or soap enough or should it also be boiled with water mixed with baking soda ? What about pastel and mortar that is use to triturate different material? What do the manufacturing companies do with utensils of stainless steel and glass tubes in their laboratories after making one remedy and starting the next one? I have been fortunate to treat domestic animals like cows, bullocks, buffaloes, dogs and goats many a times with homoeopathic medicines. The infinitely small doses of homoeopathic medicines worked exceedingly well, confirming Hahneman’s theory of cure. The animals too have a life force like humans. The only difference is that they are not able to express their feelings and sensations in words like human beings. • Organic: disease that has identifiable lesions. • Functional: disease with no lesions. It is the relation between the external physical properties of drug substance & the sign, symp. Present in patient. Doctrine of signature is one of the source of mat. media. This present in few drugs & by this we can remember & learn m.m. of the that drug up to a certain extent. This can be observed from the general therapeutic study of drug since olden days i.e. from the discovery of drug, we know their medicinal properties.